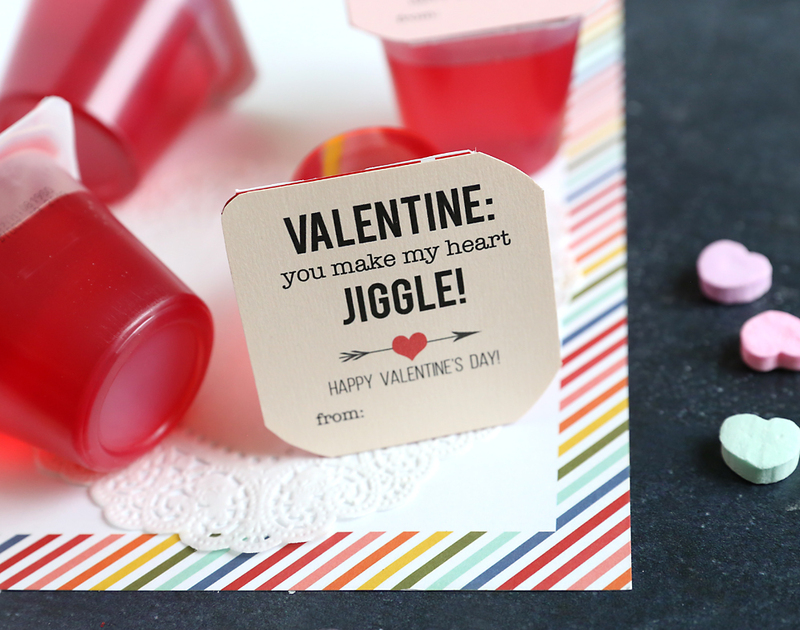 In today’s post: Jello cups make a cute Valentine treat with three printable tags. You know when you think you’re really funny, even though no one else does? 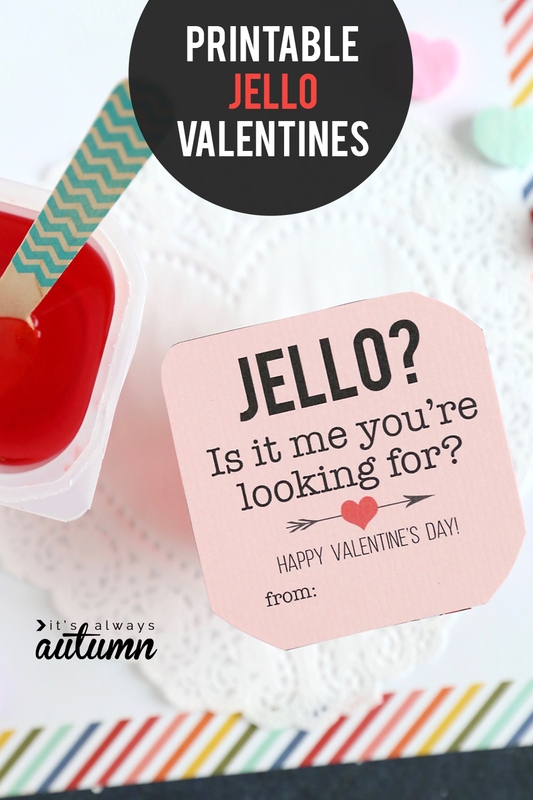 Well, I’ve been laughing to myself for days about the little pun on my printable Jello Valentines. I hope at least some of you are old enough to remember Lionel Richie! Side note: my oldest teen tells me he’s never heard the song (“Hello”) but he knows the phrase ‘cuz it apparently shows up on a lot of memes. And even on memes it’s considered “cringe-worthy.” Yup, that about sums up how cool I am. 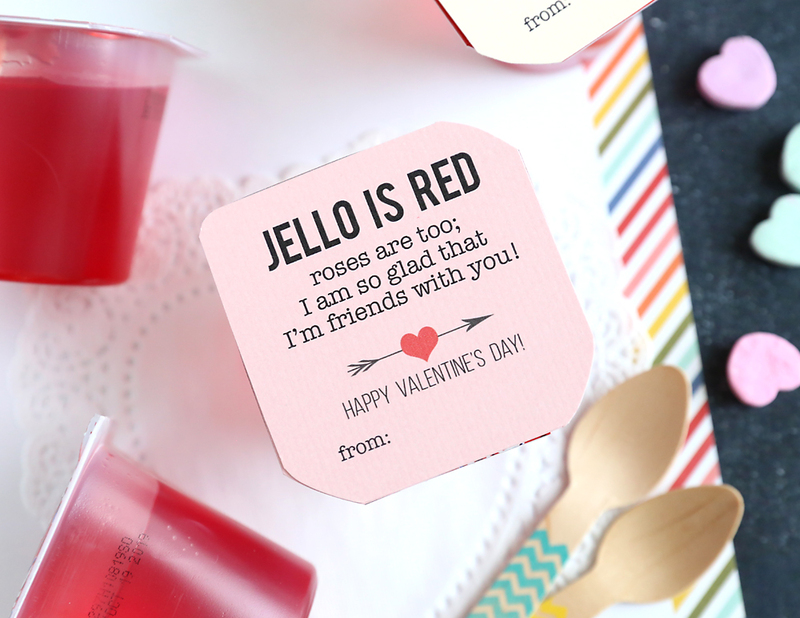 Anyway, continuing on with our week of DIY classroom valentines, I give you Jello Valentines. Judging by how many times my kids have begged me for the jello I bought to photograph this post, I can guarantee that these will be well received! 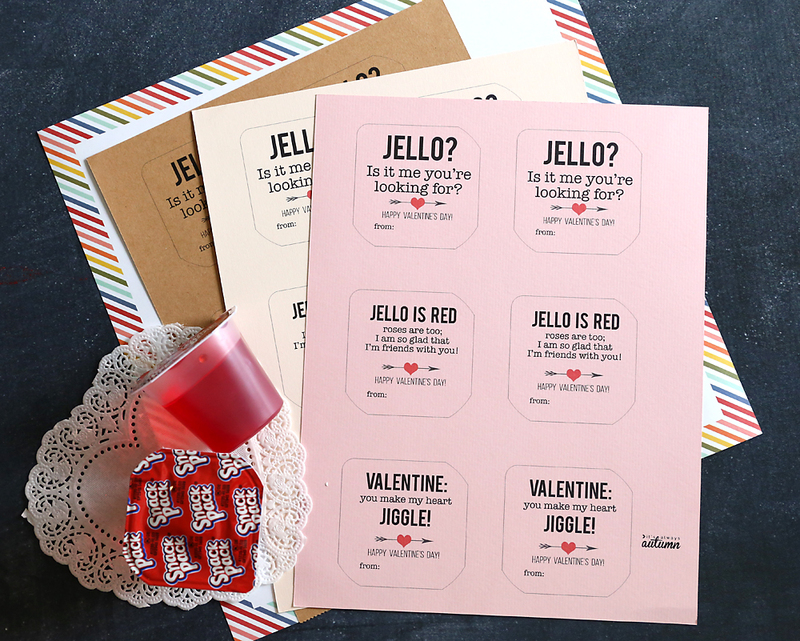 Click here to see the slap bracelet Valentines from yesterday, and click here for 35 more printable Valentines ideas. 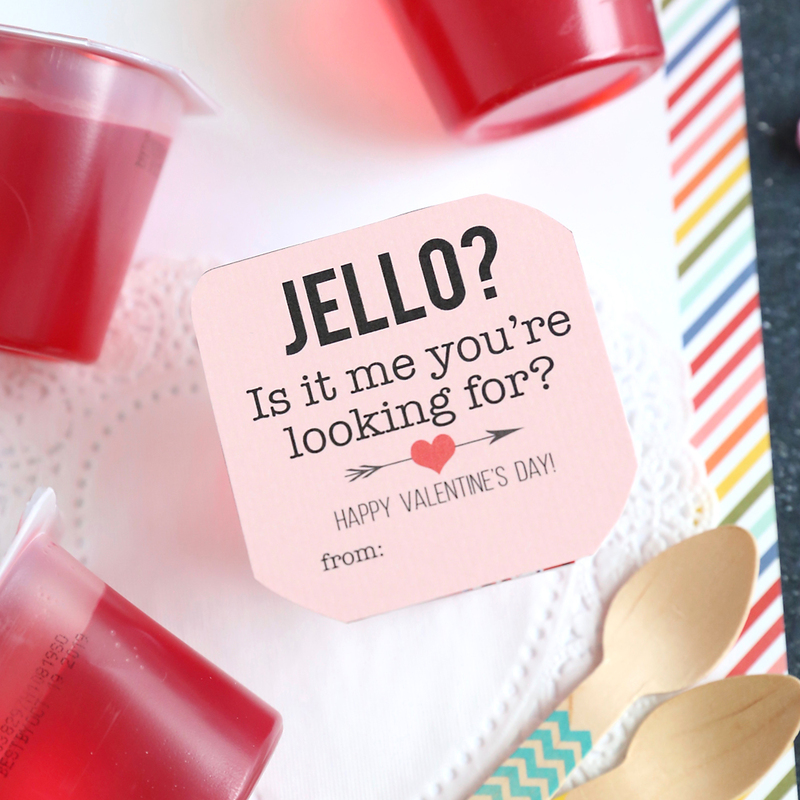 Just print, cut, and adhere the tags to the tops of the Jello cups for a super easy DIY Valentine! These are relatively inexpensive; the Jello cups cost $1 for 4 at my local Walmart, meaning we can get enough for an entire class for 7 or 8 bucks. 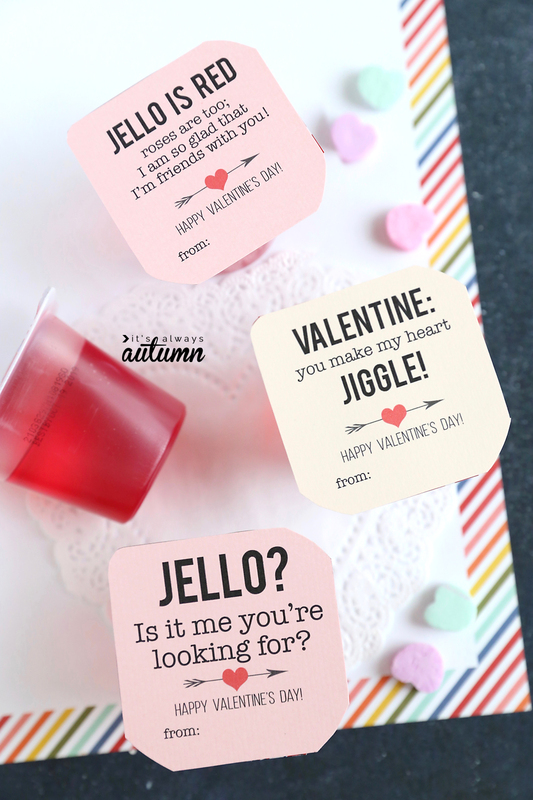 I made three different Jello Valentine tags, in case you agree with my teenagers and think my first idea is just too cringey. Or, if you like all the options, click here to download a page that has two of each tag. These ideas are pretty good for the valentine of this year and many people already using it. This is a special time for all of us to spread the love with the family.